If you're like me and want to help your kids improve their writing skills then this fantastic game from LeapFrog could be just the thing you're looking for. 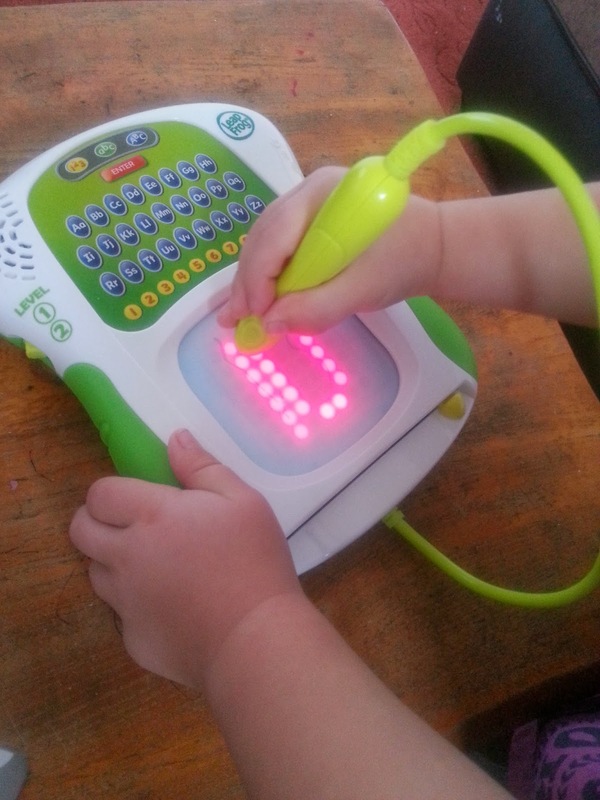 They can learn to draw shapes, pictures and both upper and lower case letters in a great interactive way which encourages children to learn at their own pace. It has two levels which can be changed at the flick of a switch, Ryan is only 3 years old so we've been using it on Level 1 to start off with. 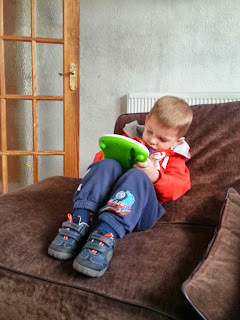 My little man has been having so much fun tracing the lights to draw simple shapes and pictures. He's then moved on to writing upper and lower case letters and numbers too. The fun learning games help reinforce letter recognition and pencil control skills without them even realising. LeapFrog's Scribble and Write is a good sized toy, it's just big enough for children to use but not too big that you can't take it out with you. It actually won the 'Toy Talk Awards Educational Toys' back in 2009. It's easy to see why. We love the way this toy speaks to us and tells us exactly what to do. 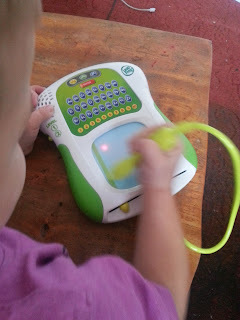 It makes writing and learning fun by interacting with the child in a really clever way. Ryan had never written any numbers before now but can now easily write a number 1 all by himself which is a big achievement for a 3 year old. I'm sure it won't be long before he's mastering all of the other numbers too. It's so lovely to watch him, he's so proud of himself when he does it. Not only can your children write and draw but they can interact and learn to count too. When Ryan drew a number 5 it asked him to clap 5 times along with them to celebrate which is another great feature that I love. The Scribble and Write is so easy to use, they simply draw on it with the attached pen and then swipe the button at the bottom across to clear it and start again. The pen cleverly clips neatly into the back when you want to put it away. Both Ryan and I really love this toy and for the price of just £19.99 we think it's every penny. I know Ryan loves it a lot because everytime I put it away in his toybox he keeps getting it back out. 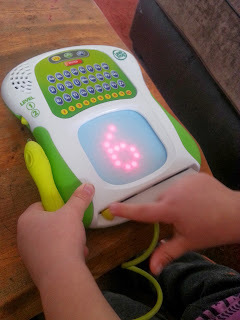 He's had so much fun with it and loves it when he completes a new letter or number, it's definitely a hit with him. 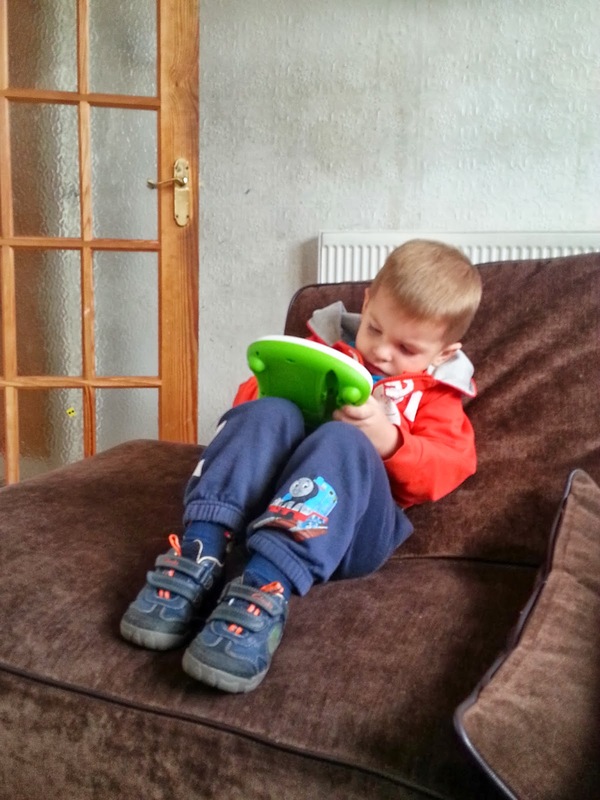 The Scribble and Write is great for keeping him entertained but it's really great because it's helping him learn so much at the same time. 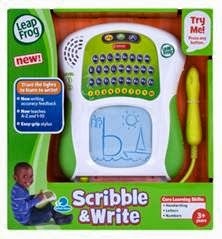 The LeapFrog's Scribble and Write gets a very well deserved 5/5 from us. I had never seen these before but I am so glad that we have now as Ryan loves it and a happy Ryan means a very happy me. 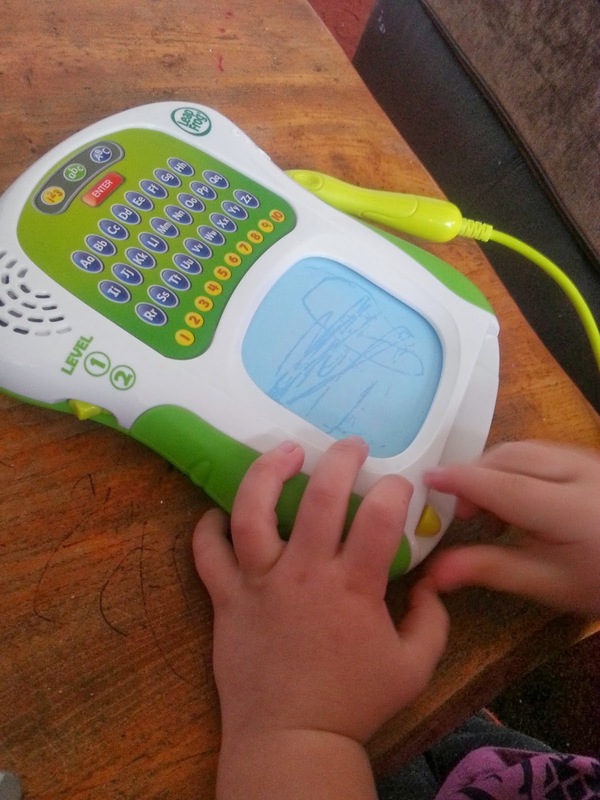 We were gifted our LeapFrog Scribble and Write for review purposes but all the opinions expressed are 100% my own.